Sound is the carrier wave of intention. When we hold intentions for healing and manifestation in our heart, and send these out into the universe with sound, great power to organize matter and energy is set into motion. Sound that is guided by spirits and divine light and love amplifies any healing act or technique. This enhancement arises because of the powerful effects sound has: at the neurological, biochemical, thermodynamic, mental, spiritual, cosmic levels of being. And because of the unfathomable intelligence of our spiritual allies, power animals, angels, ambassadors and helpers from of the unseen world. When we immersed ourselves in shamanism, most of us learned about sound “through the back door”. We had directives such as “find your power song”, “develop your invocation”, “listen for an extraction song” and the like. 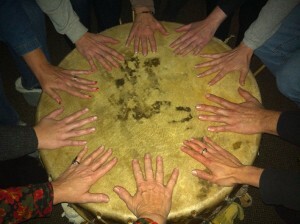 We felt drawn to the sound of the drum, and noticed how powerful our rattles and drums were at moving energy, shifting our consciousness, and so much more. We sensed that these instruments had spirits unto themselves; we may have even done some investigation toward that end. Sacred songs moved our hearts and powered our ceremonies. And, in all of this, the process of shamanism was the driver, the focus at the forefront of our training, as well it should have been. In Shamanic Sound Healing training, we dive deeper into the process of working with intentional sound, within a shamanic (spirit-filled) container and framework. How does sound move through us? How can we use this process of channeling Spirit in the form of sound to create and manifest? How can working with sound help us get out of the way more completely, in the dance with our ego? How can we most potently let the purity of divine realms come to Earth through us? Our work with sound refines our understanding of how energy and intention work, how our witness collaborates and informs our healing process, and how vibration, energy and matter interact to create a healing effect. We experiment and explore sound as a central creative force in the world. We journey into sound and with our compassionate spirits’ help and guidance, discover more clearly and potently how sound carries intention out into the universe to be heard and acted upon, and how spirit rides sound in from nonordinary reality to bring wisdom and power into the room, our clients. We become attuned to Sound and its flow through us, very much like a Reiki attunement. We begin to hear the information and interpret the spiritual power that are encoded in the sounds that channel through us. We experience how sound organizes matter and other energy matrices to bring about healing and manifestation. We become a more clear and open channel for the power and wisdom that rides on the waves of sound into our ceremonial space, our bodies, our souls, those of our clients and people in our lives. Sound helps the client experience energy healing in the body at a deeper level. The vibrations that move through you, and your instruments, resonate through the physical body as well as the energetic and etheric body. This resonating assists the client not only at a physical and spiritual level, but at a mental level, as they form a conscious belief that “something is actually happening”. This belief furthers the effectiveness of the energy work. This physical level of sensation is key, especially for people who are a) new to spiritual /energy healing—where there is no real framework for the healing to fit into; b) left brain/cognitive dominant people who need tangible evidence to believe in phenomena in general and in energy healing in particular; c) not visual or auditory but more kinesthetic in their experiencing of the world. I began my sound healing training by becoming a singer in traditional Native American healing ceremonies (Sweat lodge, Vision Quest, Sundance, Yuwipi and Lowampi). Perhaps even before that, my learning of the language of birds taught me how to listen, and how to sing what the birds were singing. I was drawn to and studied with Tom Kenyon back when he was still teaching the principles of sound healing. His fundamental research into acoustic effects on the brain and physiology inspired me, as he was the first science-turned-shaman to lift the veils on this sacred process of healing with sound. As I have come to work more deeply with sound with participants in my courses and clients in my private practice, I have noticed that my extractions have become deeper and richer as a result of my experiences, learning and focus on healing sound. My voice has gained power with focus and experience–once just the song carrier for the community, now a fountain of sound for Earth! I have become more acutely aware of how the spirits of my drums, rattles, and my singing bowls in particular are able to carry vibration deep into the clients energy, physical and Ka bodies to break up intrusions/blockages/constrictions in the matrix of their beingness. Divine love, light, and high vibrations that carry potent qualities needed for healing ride the sounds that come through me, my voice and my instruments into the room, and into the client, and out ahead of them on their path, to further facilitate healing and manifestation. There is a falling away of self-consciousness in how the spirits are using me and my voice as instruments of healing. Often, there is little or no self awareness for longer periods of time because I become the sounds, merged with my helping spirits, as the “hollow bone”. (This is a central theme in all of my courses.) This process has taken practice, ceremony, personal healing, and the circles of learning in my courses. During my soul retrievals, I have come to use sound more to prepare the “house of the soul” for re-entry, and to welcome the soul parts that get retrieved. Sound also integrates the parts into the soul—song, bowls, rattles, especially with lullabies and healing songs that sooth and invite. The spirits have given me an awareness, and sounds and songs, that help the retrieved soul parts learn from the soul what they have missed during their absence, while the resident soul learns from the retrieved soul parts about what they experienced during their absence. A re-education unfolds with vibrational frequencies that help facilitate knitting and communication within the fabric of the soul. I use Sound and song during the cord-cutting and forgiveness ceremony to help resonate the cords that most need to be cut. Sound and song also help to clear any reservations clients might have to the work (giving up their stories, for example), and contribute to the integration of the soul essence that returns, and to seal the client’s new relationship with their true self. House clearings have taken on a whole new dimension with my sound healing tools and voice (especially creating healing vortices with my crystal bowl). Sometimes I even have my spirits do curse unraveling and deposession work in a journey using my singing bowls. My Reiki treatments have also expanded through use of sound. SO much richness and power and effectiveness can come to your healing work when you begin incorporating spirit-guided intentional sound. Imagine what your practice might look like if you got comfortable with healing sound and could use it to help remove obstacles and create healing for your clients. Or even your meditation practice or morning prayer sessions. I hope you will consider join me during one or more of many offerings in 2015. To learn more, go to http://www.shamanicsoundhealing.com/calendar. I realized at even a deeper level what I want most in life. At the women’s visioning retreat I co-facilitated this last weekend, we did a repeating question process (“What do you want?”). In this process, you form dyads; your partner in the dyad asks you the question, in this case “what do you want?”. You answer the question. They say thank you, then ask you “what do you want?” And the process repeats itself over and over, for 10 minutes or more. Then you stop, journal and switch roles. So much of the unseen bubbles up to the surface as you dig deeper to answer the question, over and over again. It is a powerful process for any kind of question. What I realized I wanted most in my life– no small surprise that I find myself creating opportunities for this– is to help people realize that they are not alone in the world… That they have helping compassionate spirits that are supporting them and out ahead of them on their path orchestrating the perfection of their lives. At Every Moment. This morning, I got to hear that my spirits and I had a success in this mission of what I would consider epic proportions. I have been the practitioner in charge of implementing the Shamanic Treatment Sessions on Veterans with PTSD. It is a study being conducted by LightSong School of Shamanic Studies and Oregon Health Sciences University. During the shamanic treatment sessions, Vets receive power animals through power animal retrieval and soul retrieval, along with a mantra and other kinds of powerful spiritual tools and healings. Other treatment sessions include extraction, deposession, curse-unravelling, and other core shamanic techniques of healing the soul. Bill (I will call him), one of veterans, relayed a story this morning that just gave me chills. His family has been experiencing some drama instigated by a disenfranchised family member who is suffering and threatening violence to Bill’s family. Bill was on his way over to do very bad things in response to the threat of violence to his children by this disenfranchised family member. He was racing over there deep in a rage, when his spirits intervened. These spirits, brought to him during power animal retrieval and soul retrieval, filled his head and heart with their presence. Bill stopped the car, listened to the information his spirits were giving him and turned the car around, went home and called the police. We both feel that the spirits’ intervention prevented Bill from going to prison for the rest of his life. His mantra, retrieved during soul retrieval, kicked in and was going round and round in his head, which instigated the intervention by the spirits, and helped him return home safely with out further violence. This intervention (though not the circumstances around it) is exactly what I stand for in this world and what I have committed myself to. I have been a little low lately, and just now, in writing this, I am reminded and reinvigorated with my mission. 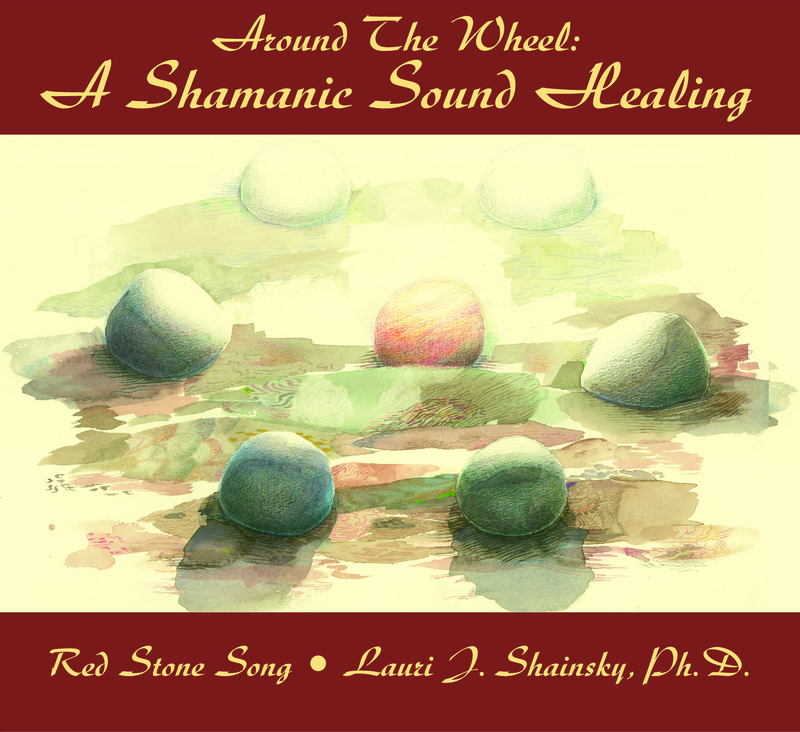 My first album, Around the Wheel: A Shamanic Sound Healing, is coming out next week. The album is comprised of the sound that came through during two shamanic sound healing sessions the spirits and I performed. (Very little editing, and no second takes (redo’s)). The album is designed to provide a healing session for people–to facilitate releasing those things that no longer serve, and inviting and filling with divine wisdom and power. We utilize the energies of the Medicine Wheel, whatever form that takes for each of us; we go through 6 directions of releasing through catalytic sounds (sounds that break up constrictions, impediments, obstructions), and filling with coherent (sweet, harmonious) sound. Thank you to Sean Flora who produced and mastered this album and Robert Streff who provided the art work. May we all heal, and through our healing, heal the Earth. Until I get up and running with PayPal and CD Baby, I am distributing the disc the old fashioned way–if you would like to purchase a copy, please send a check for $12 made out to Hidden Lake Retreat and send it with your address to PO Box 598 Eagle Creek OR 97022. The artwork is really priceless, so it is worth having a physical copy! To here a sample of it, click here. I went through an enormous eye of the needle kind of illness and transformation (I am still in it, actually) this spring. My dear friend and colleague Renee did a beautiful reading and healing on me to help me make sense of this lingering illness. In essence, the illness was a doorway and a dissolution of old ways of being, of shedding and reconfiguring. That the illness was an outer manifestation of inner thought patterns that were like small infections festering away and draining power away from my core. Another dear friend Linda, came over and did a Karuna Reiki session. A very powerful session unfolded, whereby the Reiki inspired one of the inner thought infections to be revealed to me, and in the energy of the session, was released and healed in a big way. It was my grief over the animals. I had pondered the idea that in some belief systems, maladies of the lungs (mine of which were full of gunk) represents Grief. …The grief I feel for the animals is a huge doorway to the vast open loving heart. A karmic doorway. My cat, Cali, had shown this truth to me, too. She had been with me during my illness, and when I asked her what her role was in my life, she showed me that she was there to help me open my heart, and feel what caring for, and being cared about, was all about. Leslie Temple Thurston, on a call regarding For the Love of Animals, encouraged us to be IN the grief and to open our hearts, and allow the heart to break. Over and over again. Then the imploring of my teacher, Jan, to get underneath the grief to see more into it, came in. When I looked deeply, I saw that it was a perception of Not enough (animals are dying, there will not be enough animals to satisfy my need for them). The grief grew out of an ever-growing lack of something that I loved. Then more medicine came: The animals told me, through my power animals, that they are present at the etheric level always, abundant beyond belief, even if their numbers appear few on the physical plain. That we have access to each other, and that I should not fret in the debilitating way the grief was striking me. But use that love to do something. This message then made the message I received last month “clunk”. Before this healing, over the last few months, the animals had been coming and showing me a new community healing ceremony that will help the people and the animals. And, so, I am excited to walk forward on my path with this new ceremony to help people heal, and to help the animals on the planet –ascended and earthly. More later on this ceremony as it evolves. And so we send a heartfelt wave of gratitude to the animals—the ones we live with, the ones all over the planet, the ones who have come and gone, the ones who need our power and wisdom to steward, or simply connect with in appreciation. 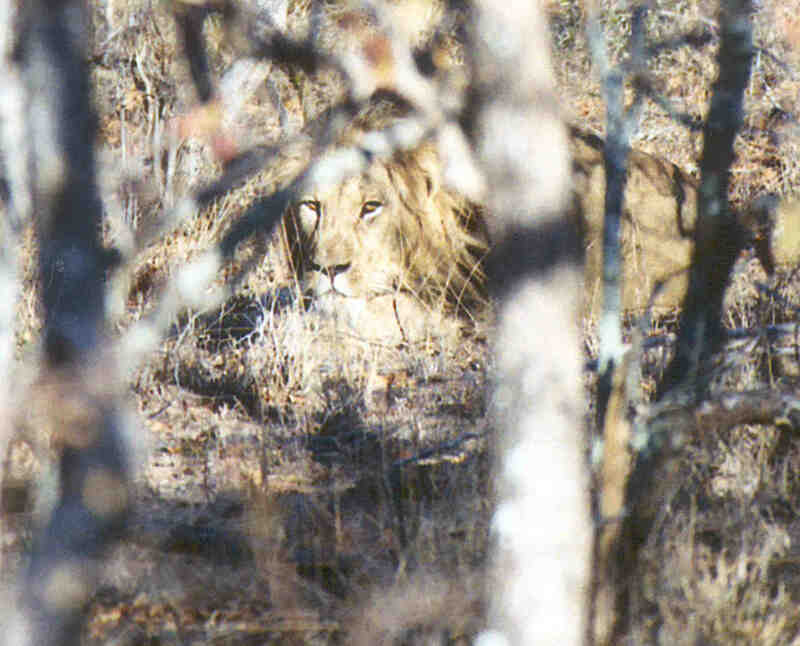 I have been carrying heavy weight in my heart about the plight of the animals on the planet. In the early years of the new millinium, my desire to do something, to honor the animals that were leaving the planet, manifested in an off-the-chart adventure. Judith, my wife and I, bought land, built a small reed house, and commuted back and forth from the states to venture into the bush and commune with the animals of South Africa. Most ventures in the bush involved sending love, gratitude and “I am sorry for what we are doing to you” waveforms to the animals. Lions, leapords, elephants, giraffe, rhino, impala, kudu, waterbuck, zebra, cheetah, hippo, amongst all of the other myriad of creation, we greeted and sent our love and hope for healing to them. Of course, all the time (except for some walks) riding around in a land rover, consuming fossil fuels…. My grief seemed to come to a most recent head right around the winter solstice sweat lodge (12/22/21), when the energies of that auspicious time intensified. We had just given away our dear chickens late in November. We had raised five of them, to whom we gave goddess names, and lived with them for 5 years. They were delightful and very productive until last year. We let them roam a lot around the property, which always brought a fond moment seeing them wander by, talking to each other. The small tired me was weary from caring for them, and winter was coming, the most difficult time to care for chickens in Oregon. So I did some research and gave them to a chicken sanctuary. It was quite a process, for on the appointed day, I could not catch the one last one. I drove 2 hours with all but Isis, and turned them over to their new caregiver. The next day, I caught Isis and made the second trip with her. The place was not ideal, with several aggressive roosters, but the caregiver had plans for integration or separation, and I was happy they would be cared for by someone with such a huge heart. The solstice lodge came, and was very powerful. On the inner, while I poured the lodge, I worked on my animal grief. The next morning, I awoke, and I swear I could hear the chickens calling to me. They were telling me that they were animals that I could actually do something about with regards to being a steward of animals on earth. So I called the caregiver and told her I would be coming to get the chickens, and thanking her profusely for being there at this time of sorting things out. I also called my teacher/mentor and cried some on the phone about my overall grief, and my plans to get the chickens back. She said, “you should really look at what’s underneath this grief.” In my heart I knew that that was not the time for that particular investigation (see part 2), and I just felt grateful that I was given such clear guidance from the chickens to come get them. And so I did. I went to get them. Loksmi, Isis, Sekmet, and White Tara all came back with me. We let them back into their roosting coop. Judith and I stood for an hour and watched them. They engaged in what I could only imagine the chicken version of “kissing the ground” upon reaching home—they burrowed into their bedding material on the floor of the coop, throwing shavings on their back, then rolling and rolling in the shavings. You could sense their having their eyes roll back into their heads in clear, pure joy. It was an amazing sight to behold. They were home, and we were so happy. A healing for sure. Welcome to the Carnival of Healing. Thank you, Dee, for the previous Carnival of Healing, which provides a cornucopia of health-related tips and solutions that help us on our path. This month’s Carnival of Healing entry addresses the spiritual aspects of our walk on this earth. My most heart-felt intention is to provide some insight into the nature of shamanic, intentional living, as well as to provide some resources if you wish to become more facile in the art of shamanic, intentional living. The most life-altering belief or awareness that I came to have was that I had a troop of loving spirits that were out on my path orchestrating my life. This is the fundamental understanding of shamanism—the knowningness of the presence of compassionate, benevolent spirits that work through us to bring love and healing to everyday (ordinary) reality. With this understanding, I have become aware of the grace and perfection of how everything in my life unfolds—especially circumstances that at first seem disappointing, and then turn out to have the greatest good at their very core. I walk in the world knowing that my helpers are out ahead of me on my path orchestrating and collaborating with my true self to manifest my life. You do not need to be a shaman to live shamanically. Many of you probably are already living a shamanic life and perhaps not aware of it. Dee from the previous Carnival of Healing certainly is, as she recounts the grace she received from her “guides” as she was preparing her entry for last month. Midnight Shaman provides musings and insight on shamanic life, spirituality and healing, as does ShamanElizabeth. Living intentionally—with focus, prayer, clarity about what we seek to manifest in our lives—is magnified a million-fold through our working with our beloved spirits. It is as if our prayers are magnified and sent out into the universe with a jet pack. We wake up in the morning, we pray and meditate in the presence of our spirits, in which we are in communion, and intentions for the day, week, life are set into motion. Dr. Joe Dispenza’s discussion from “What the Bleep”, I create my day, is a beautifully written description of the process of intentionally living and being the creator of your life. Add the awareness of help from the spirit world, and Wah Lah! WOW! BAM! As revealed quite beautifully by Firechild’s blog, living shamanically engages us completely in watching the flows of different energies and power, noticing how the divine plan is unfolding, and listening and watching for messages. Taz provides an elegant mix of “thoughts and musings on shamanism, medicine crafts, meditations and personal development”. Living shamanically, teaching shamanism, holding ceremony and being a leader in the shamanic world is beautiful and also has its dilemnas. Scarlett Kinney, in her blog Feminine Shamanic Consciousness is good reminder of this and discusses a sometimes touchy subject inherent in walking this walk. 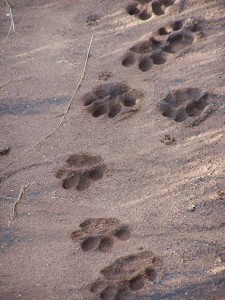 I enjoyed exploring numerous blogs by people living a shamanic way of life. Spirit Muse’s Blog I found and enjoyed for it’s discussion of practical and philosophical shamanic topics. Living a Heart-centered life is critical to shamanic living, and is exemplified in the writings at the Path of the Clear Heart: My Walk with Lujan Mutas. Bjezierski beautifully illuminates the philosophy of most of us living a shamanic lifestyle…”Have drum, will travel”, and provides deep, rich insights into the very real experiences in the life of a man living a contemporary shamanic life. 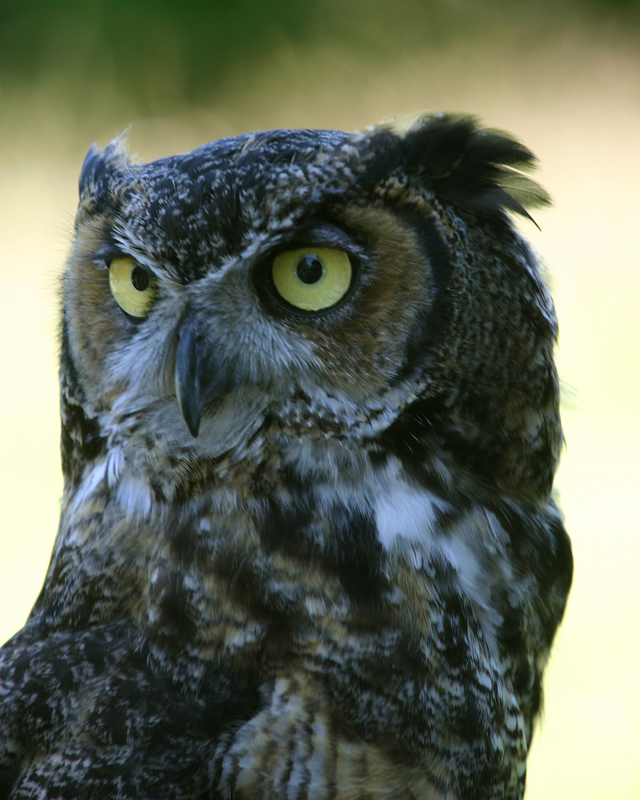 One of my favorite blogs on shamanic living is Shamanic Living Today. “This is an ongoing US and global project to help enthusiasts, scholars, practitioners, and curious parties learn more about shamanic living in a contemporary culture. The space here is devoted to sharing info, experiences and opinions about all forms of shamanic expression covering shamanism’s multiple permutations. Among subjects explored are traditions, techniques, insights, definitions, events, artists, authors, and creativity. You are invited to draw from your own experiences and contribute.” What a great invitation! Michael Harner’s Foundation of Shamanic Studies provides comprehensive coursework in core shamanism, where I learned techniques, as well as experiencing some critical and powerful initiations which expanded my consciousness of being. Tom Cowan provides poetic training in Celtic Shamanism, and his two year class provided me with amazing initiations and ceremonies which I continue to carry out to our community. We live shamanically through rigorous training, personal and community initiations and ceremony, falling down and ascending, singing, crying, praying. I will continue to write about such things on my blog here, and am committed to providing opportunities to people who seek to strengthen their shamanic way of being through my healing practice, sound healing trainings, and the work I do at Hidden Lake Retreat. Please stay tuned or check out our calendar! Thank you for going along for a little tour through shamanic living. If you are interested in shamanism, I recommend checking out our school, Lightsong School of Shamanic Studies. Also check out the Shaman’s portal as a great resource for shamanism. Teachers, information, trainings and events are posted there, along with many many blogs. May Sweet Shamanic Journeys be upon you! I signed up one late night to host November’s Carnival of Healing Blog Round Up. I now imagine lassoing excellent blogs that are thought and heart-provoking, and help uplift people’s spirit. So I am calling all excellent spiritual bloggers. shamanic bloggers…to present your wonderful work that assists us in raising our vibration, living more intentionally. more in alignment with spirit.